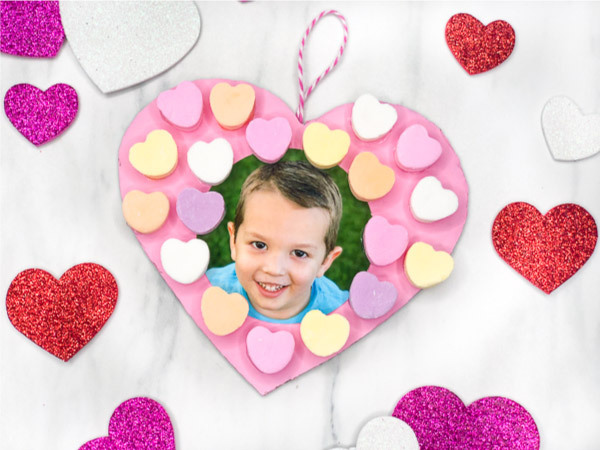 Valentine's Day is the perfect time to get crafty with your preschooler. Even less crafty moms like myself can make these simple Valentine's Day crafts with your little ones to enjoy or give as special gifts. 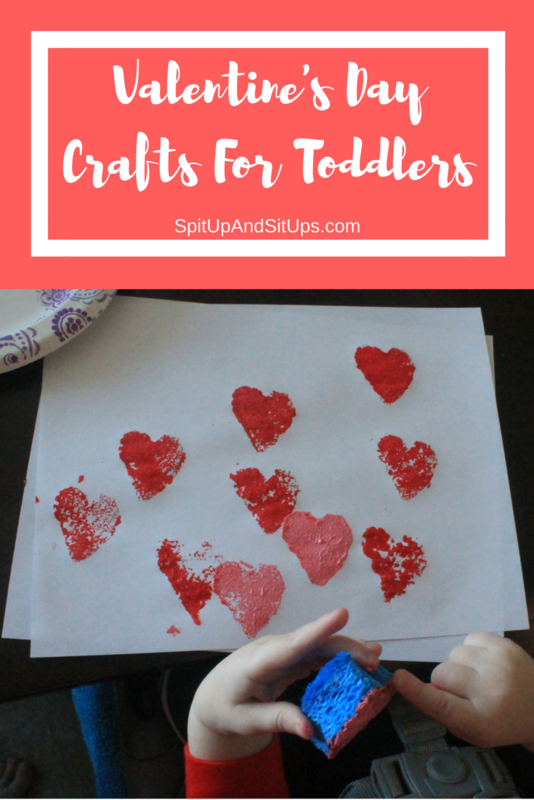 These Valentine's Day crafts are great for helping your preschooler practice fine motor skills too. 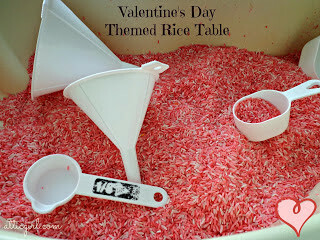 Give your child hours of sensory play with a DIY Valentine's Day Themed Rice Table. Your preschooler will enjoy making a Piece of My Heart Pop-up Card for a parent or grandparent. 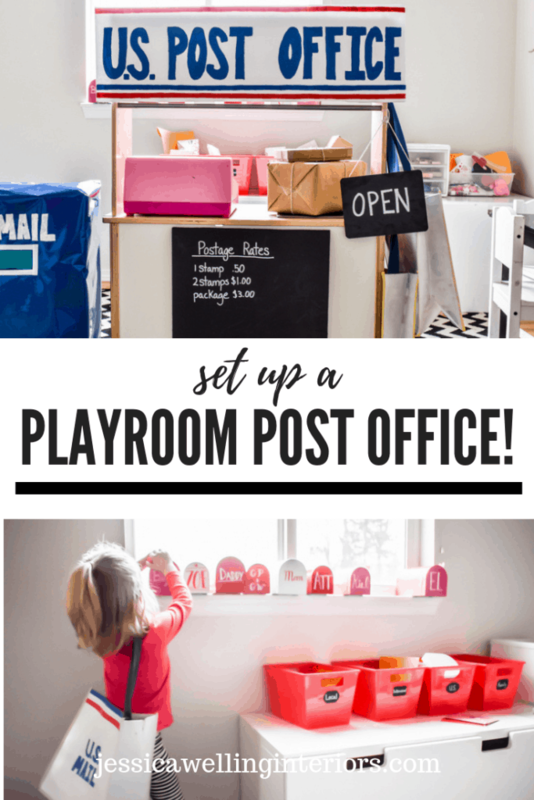 Set up a Playroom Post Office for hours of role play fun. 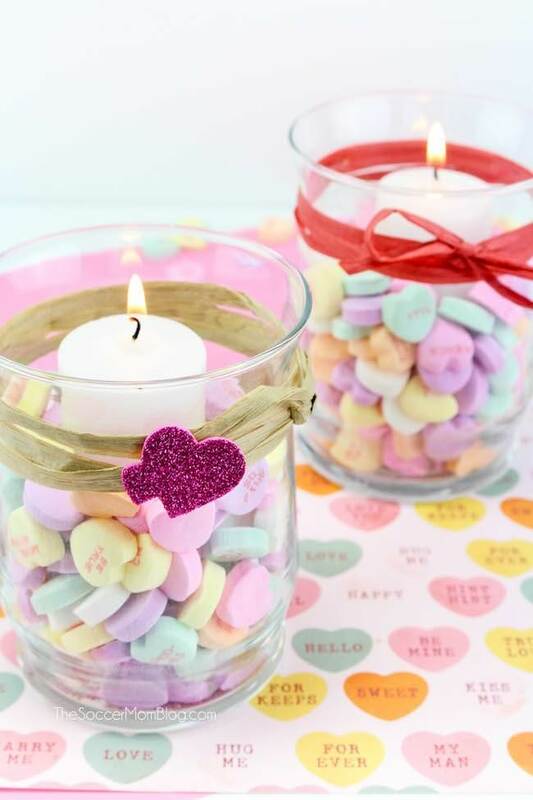 Use those extra candy hearts to make pretty Conversation Heart Votives. 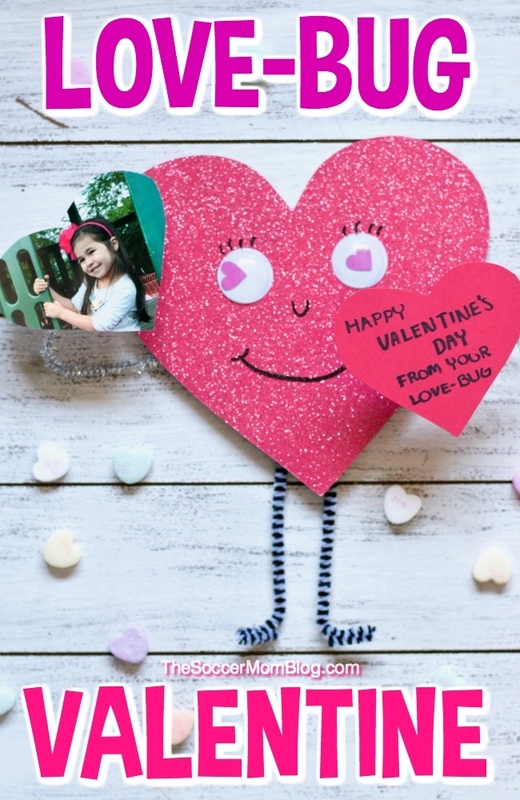 Preschoolers will enjoy making a Love-bug Valentine with a photo of themselves. 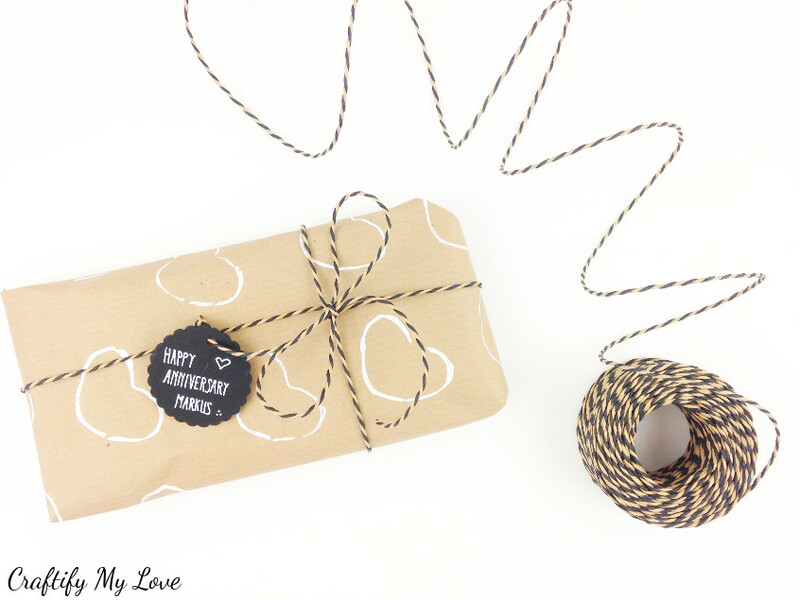 Wrap up a special gift with this Hand-printed Recyleable Gift Wrapping Paper. Little ones can practice color sorting with this Construction Paper Heart Sorting Craft. 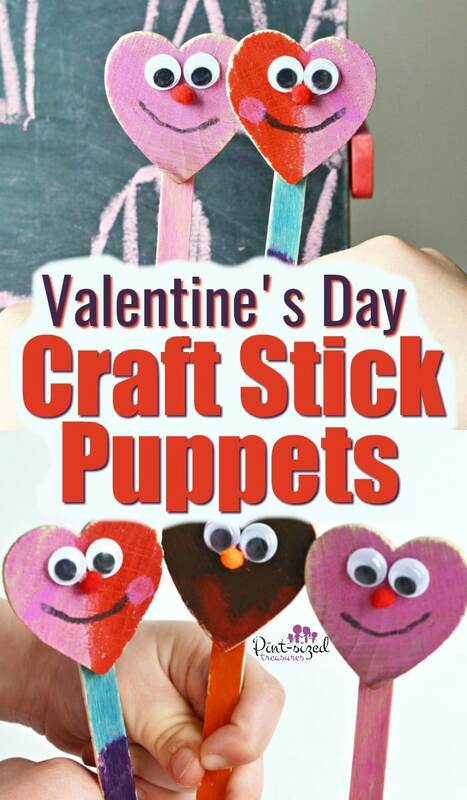 What preschooler won't be bug-eyed over these Valentine's Day Craft Stick Puppets? Sponge painting is just one of several Valentine's Day Crafts for Toddlers. 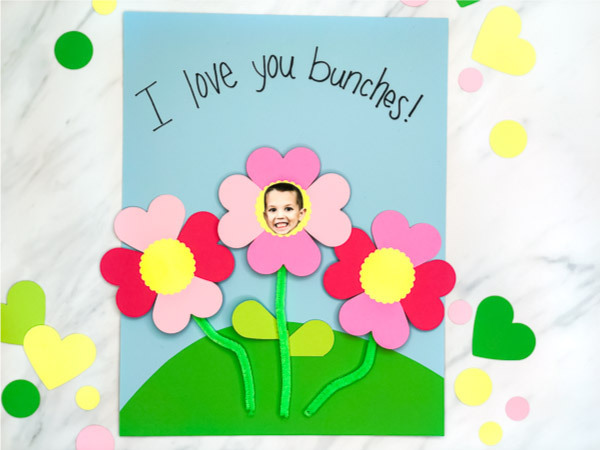 This I Love You Bunches Photo Frame card is simply adorable. You will want to keep this Easy Photo Valentine Wreath to hang on your door this spring. 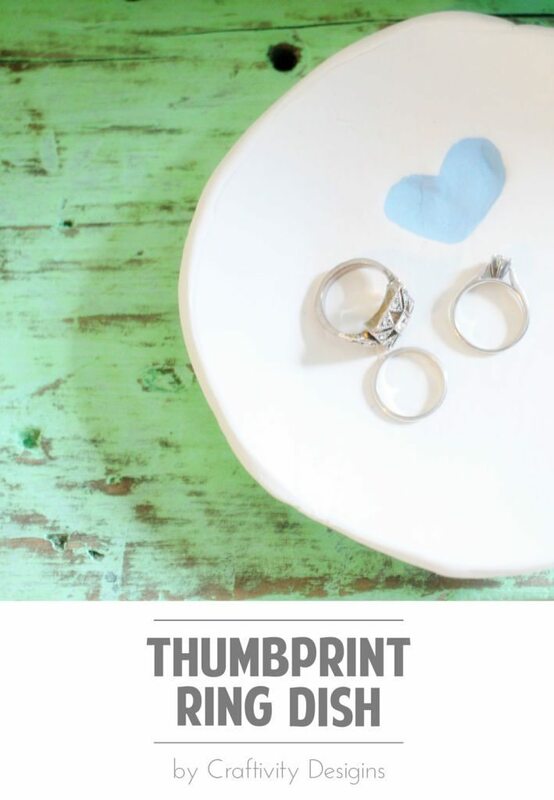 A DIY Thumbprint Ring Dish makes a wonderful keepsake. 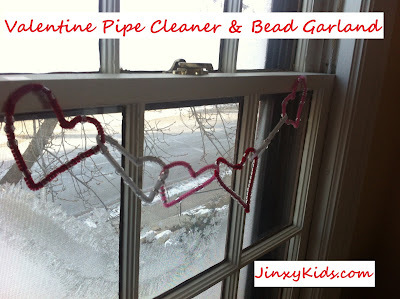 Kids can help decorate with a Valentine Pipe Cleaner & Bead Garland. 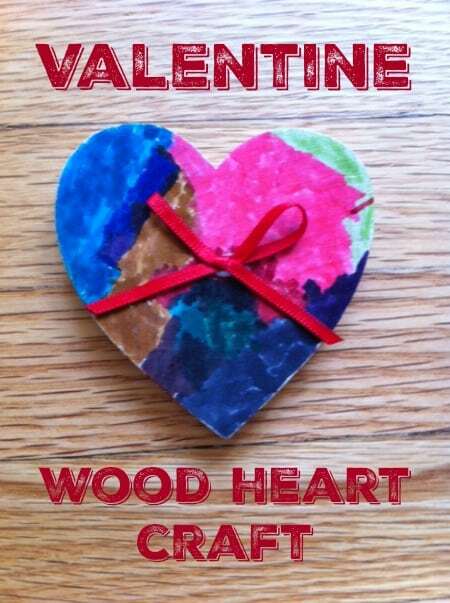 A Valentine Wood Heart Craft makes a sweet gift. 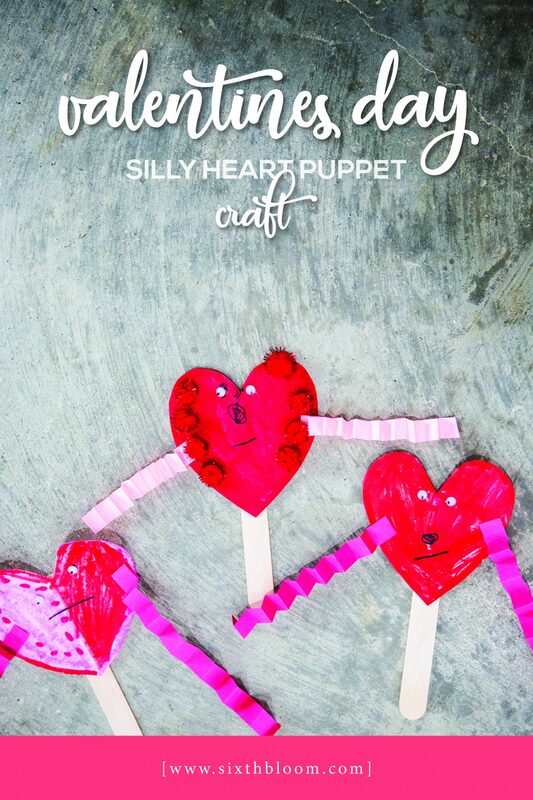 Preschoolers can get their silly on with this Valentine's Day Silly Heart Puppet Craft. 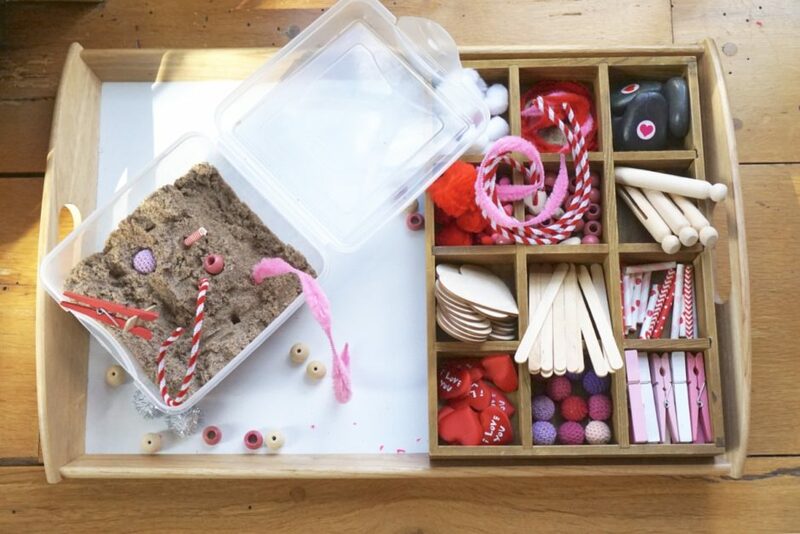 A Valentine's Day Tinker Tray will get their creative juices flowing. 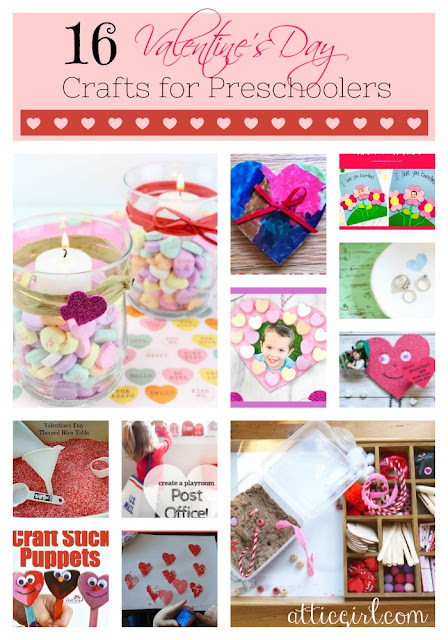 Be sure to pin these 16 Valentine's Day Crafts for Preschoolers to save for later. What is your favorite craft to do with your preschoolers?